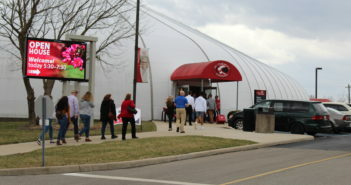 Many of us at UC Clermont are aware of the fact that the classes aren’t filled with just high school graduates. While lots of us are working on our life after college and studying for our degrees, there are also many of us who are secretly hiding behind a curtain, posing as college students, when we are really only in high school. I happen to be one of those people. I’m a junior in high school, but many of my peers are unaware of my true identity. I still go to my high school, New Richmond High School, but only for band. 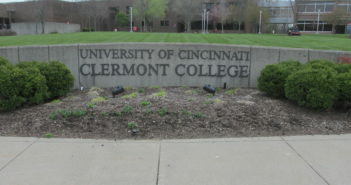 All of my other classes are taken at UC Clermont. Many people, from college kids to our high school friends, ask CCP students why they would take college courses before they needed to. There are lots of reasons, and some may be more personal than others. In general, though, I think we can all agree on a few pertinent aspect. For me, taking college classes wasn’t just about appearing more academically inclined than others. I hoped to gain experience with college courses while still living with my parents before going off to live on my own, as well as challenge myself mentally. Many other CCP students would agree that those are all reasons they decided to participate in the program, but there are so many more. Emily Ogle, a former CCP student who is currently attending school at UC Main, said, “By starting college early, I got more time to explore my interests without the pressure of having to pay tuition, and I got to add a lot of exciting activities to my schedule I otherwise never would have known about.” She added that “I also loved the independence; I could schedule my classes whenever I wanted and had more options for courses than I did at my high school.” Emily also told us how she felt about missing out on high school activities, or rather the lack thereof. “Since my friends and I got our driver’s licenses our junior year, I actually managed to see them more as a CCP student than I did when I went to my high school. I got to pick all the fun parts of high school and avoid any of the negatives; it was the ideal high school experience,” said Emily. A perfect way to put it, in my opinion. Even with these struggles, all three stated that they would go back and take CCP classes again. Even though most people focus on the students’ perspectives on participation in the program, I asked for the opinions of professors. All have requested to remain unnamed, since they are voicing their opinion. As many people know, college for students in the CCP program is free to the student. One professor stated that students should participate in the program because “The economic benefit alone makes the CCP opportunity to good to pass up.” Many CCP students get out of a year or two of college due to the amount of credits they enter college with. This saves students thousands of dollars. Another question people have is if professors treat students differently because they are a part of the CCP program. Those interviewed agreed that they haven’t, because the student is signing up for college classes, so they should be treated as college students. In fact, the students agree that they weren’t ever treated differently in class due to the fact that they were still in high school. Overall, the CCP program has its ups and downs, but the benefits outweigh the drawbacks. CCP students are crawling all over campus, but they are just like everyone else: trying to survive. Hopefully the lives of us secret accomplices aren’t a mystery to you anymore. Free college, increase of independence, and still getting to participate in the enjoyable activities at the high school? I guess it really does pay to be smart!